Growth is a priority for most healthcare businesses, but one that’s elusive and difficult to achieve. Some healthcare players do it really well, delivering sustainable growth year after year. What makes those companies so special? And what can we learn from them? India’s healthcare sector is at crossroads. It must address the significant health needs of its domestic population, while positioning itself to take advantage of the more profitable global markets. According to India Brand Equity Foundation report, healthcare has become one of India’s largest sectors both in terms of revenue and employment. During 2008-22, the market is expected to record a CAGR of 16.28 per cent. The total industry size is expected to touch $372 billion by 2022. Indian companies are entering into merger and acquisitions with domestic and foreign companies to drive growth and gain new markets. The hospital industry in India stood at Rs 4 trillion ($61.79 billion) in 2017 and is expected to increase at a Compound Annual Growth Rate (CAGR) of 16-17 per cent to reach Rs 8.6 trillion ($132.84 billion) by 2023. Concurrently, India’s dream for Universal Health Coverage (UHC) still seems far from being achieved. The nation is still battling to solve many complex healthcare issues. India spends about 1.3 peer cent of their GDP on healthcare. Moreover, government’s population report indicates that India over 25 years has added 450 million people by 2016. During this period, the proportion of people living in poverty fell by half. This period of rising prosperity has been marked by a dual disease burden, a continuing rise in communicable diseases and a spurt in non-communicable diseases, which accounted for half of all deaths in 2015, up from 42 per cent in 2001-03. Although, the government is working towards adding more funds to healthcare budgets, collaborate with the private sector, bring in policies to foster innovation, facilitate quality and price control and more, the path to progress seems arduous. Well, an exact sentiment run through the minds of several healthcare organisations large and small. Industry experts believe that the sector has a huge potential to add economic value to the nation and heal its health economics, if every healthcare organisation maps a clear growth path. In this special issue, we identified some key elements such as innovation, partnerships, culture, business models and more that can drive success for healthcare organisations in India. We spoke to some healthcare companies such as Microsoft, Medtronics, Dr Mohan’s Diabetes Specialities Centre, Philips Healthcare and POC Medical Systems who have achieve immense success. These healthcare players have excelled in many ways and have achieve sustainable growth year after year. What makes these organisations so special and what can we learn from them? 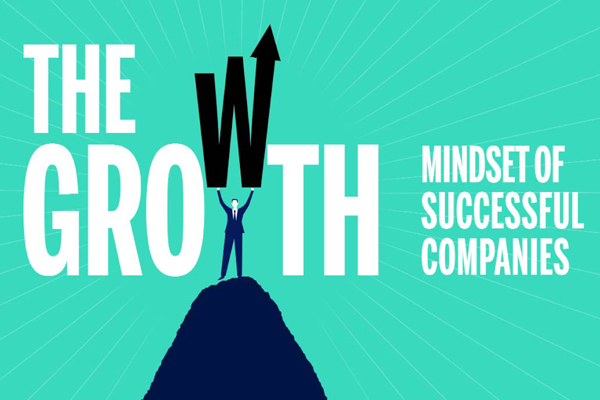 Moreover, when organisations grow so does the sector prosper. How can this success heal the country’s health economics? While many share some common traits, they all take different paths to grow using different formulas to achieve it. Dr V Mohan looks at excellence in quality as a key indicator for the growth of his company. This has helped them establish 41 branches across the country and they also aim to reach the 100 mark in the next few years. Medtronics is driven by growth strategies that promote therapy innovation, globalisation, and economic value. With this prime focus, Medtronic has 50 research and innovation centres globally, and has made an investment of $2.2 billion in R&D as of FY17. For Microsoft, India is a strategic market and their plans are anchored in the country’s development and growth. They believe in creating an environment of shared value for all. Philips on the other hand focusses on innovation that can make healthcare more accessible and affordable. Moreover, POC Medical Systems aims to solve complex healthcare issues in diagnosing cancers. At the end, these companies share their learnings and explain how they go about formulating and executing strategies, motivating and engaging people, building a growth culture that will facilitate them to develop distinctive competencies to stay ahead of the pack.